This Holiday Season can be brighter than ever with the ethereal of modern lights to choose from. The Holidays haven't changed, but the technology has, and decorations are slowly modernizing along the way. 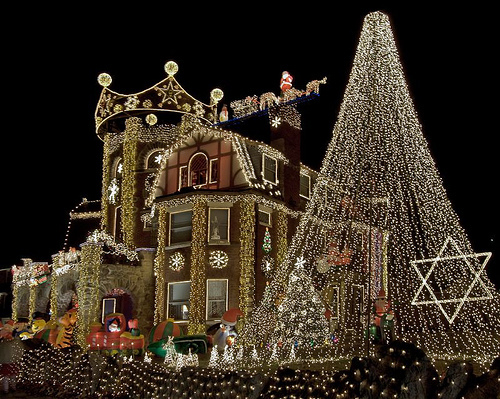 Whether your trying to create the ultimate Christmas Display, or your just trying to show that competitive neighbor who's got the best lights around, you'll need modern lights to do the job right. And my papa always said, "A job worth doing, is worth doing RIGHT!" 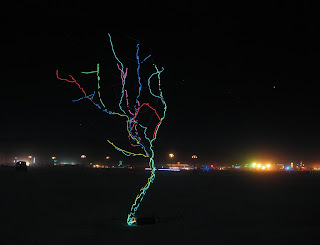 EL Wire can add a lot to any Holiday display, and puzzle and intrigue onlookers with its magical appearance. And getting a hold of EL Wire has never been easier, because for the first time EVER, Fry's Electronics has EL Wire. This exciting development in the Electroluminescent industry has been a long time coming, and its finally here. Now getting a hold of this once elusive product is easy as pie. Add a glowing element to any lawn ornament that uses string, whether it be lining your lights with EL Wire, or filling out those reindeer harnesses with some extra lights. Never again fall short to the Dinkleberg in your life, and illuminate your life with some of these awesome lights!